-James lives with and cares for an elderly gentleman. James has his own bedroom within the home, keeps all his belongings there, receives mail at the man’s address, has friends and family visit him at the home, and does not have any separate home where he goes when he is not working. James is a live-in domestic worker and is not entitled to overtime pay. -Jimmy works for a home care company and is sent to various houses to care for the company’s clients, working shifts of anything from 4 to 24 hours at a time. Jimmy does not have his own place to sleep and does not keep any personal belongings at the clients’ homes, and instead has his own home where sleeps and spends time when he is not working. Jimmy is entitled to overtime pay. 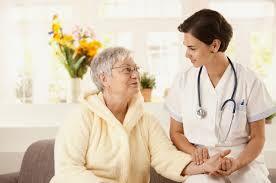 Gold Star Law has handled many cases involving unpaid overtime for home health care workers. Our employment law attorneys know the law, and will fight for your unpaid overtime wages. Call Gold Star Law, or use our Contact page on the website, if you would like more information regarding a potential case for unpaid overtime wages.